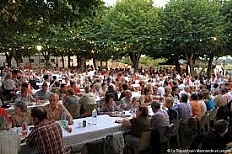 There is plenty to do in the Lot et Garonne. This region is known as the "Tuscany of France". The landscapes are beautiful, there is a lot of variety in agriculture and there are great views, with a pleasant climate and warm summers. In the vicinity are many fortified villages, wine chateaus and castles to visit. The area is ideal for walking and cycling. Both beginners and advanced, there are tours along the vineyards, orchards, sunflower fields, forests and rivers. 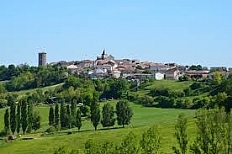 Domaine Ramonjavel is two kilometers from the Lot River. 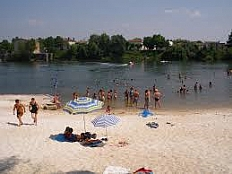 There are pedal boats, water skiing, fishing or laze on the beach of Castelmoron sur Lot. From May to October you will find beside to the weekly markets, such as the well-known market in Ste Livrade sur Lot, Villeneuve and Nerac, a lot of special markets, such as the flower market in May in Nerac, the night markets in Marmande, Vianne and Prayssas, the Saturday market in Monflanquin, Agen and Tonneins. Enough choice! Those who like the flea markets will find his home here. What you really can't miss in July and August, is the Marché Nocturne, also known as the food market. On the square are food stalls with different with bread, wine, all kinds of fruits and vegetables, but also snails, mussels and foie gras, and the butcher with its huge barbecue. The fries booth is also available. Under the old plane trees are long tables. 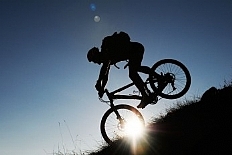 The best tours and attractions we have collected in the information folder and it is waiting for you on arrival.